The Prez really gets the cyber problem – that’s why he jacked the FY17 cyber budget to $19 billion. That $5 billion hike was driven by OPM, the Cyber Sprint, and terrorist threats. The 2015 Cyber Information Sharing Act set new government and public-private bidirectional intelligence swapping requirements. These factors and the changing cyber threat landscape have created a new Federal cybersecurity reality on the ground. How are agencies programming new monies to improve security? Which programs work – and what’s a waste of money? How do we get to smarter cyber together? How and what do we share? We’re hacking these very questions on April 21st at the Akamai Government Forum at the Marriott Marquis in DC. 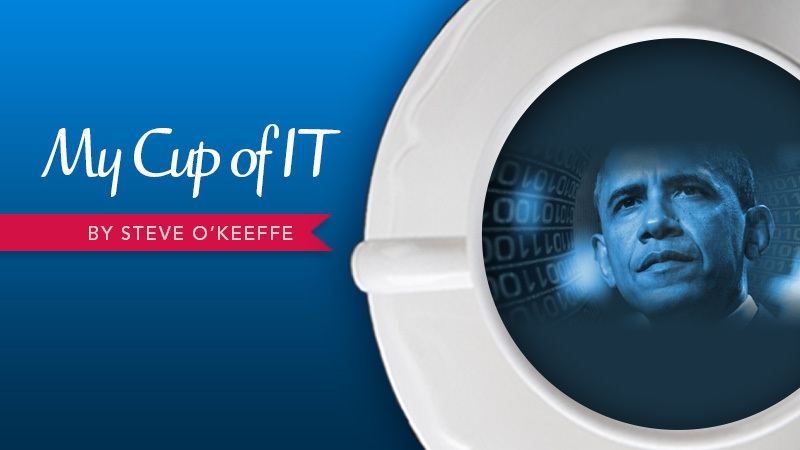 Get the skinny from DHS, NSA, FBI, ODNI, Cyber Command, and state government cyber execs. We’ll talk threat indicator sharing, real-time attack vectors, and the latest countermeasures, so it’s all on the table. Our morning plenary considers hyperconnected government – and how agencies use actionable information from government and industry to outwit the bad guys. We’ll hear from Brigadier General Maria B. Barrett, Deputy Commander for the Cyber National Mission Force, U.S Cyber Command; Donald Freese, Section Chief, National Cyber Investigative Joint Task Force, FBI; Nelson P. Moe, Virginia VITA CIO; Kshemendra Paul, Program Manager, Information Sharing Environment, ODNI; and Renee Tarun, Deputy Director, Cyber Task Force, NSA. Our experts will talk about the good, the bad, and the ugly. How do you decide what’s relevant? How do you actually share it? How do agencies coordinate with the states via the fusion centers? What, when, and how to share with law enforcement? And, if you don’t like these, you can ask your own questions. The 2015 Cyber Information Sharing Act reinforces DHS’ role as America’s cyber intelligence plumber. Our keynote speaker, Eric Goldstein, Senior Counselor to the Assistant Secretary, Office of Cyber Security and Communications at DHS, will tell us how his office is making the sharing cyber intelligence economy a reality. He’ll let us in on the new Automated Indicator Sharing System – the mechanism for real-time sharing. Eric will also talk about the critical role for threat indicator sharing played by the National Cybersecurity and Communications Integration Center (NCCIC). From the Oval Office to Capitol Hill to Joe Six-pack, everybody wants to know how we’re changing government to enhance cyber safety and protect privacy. Secure a spot on April 21st at the Akamai Government Forum. That’s my contribution to cyber intelligence sharing for this week.